Hello there! 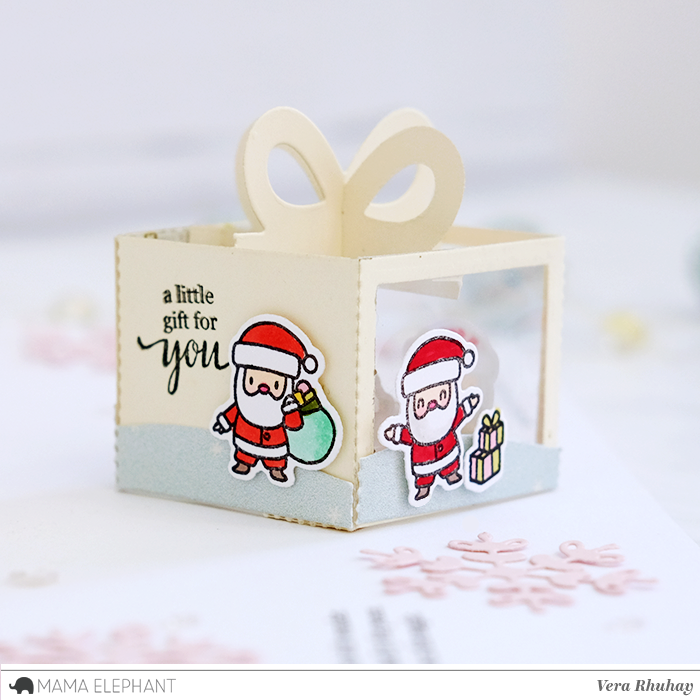 Vera here and today I have a project to share with you featuring the Inside Pop - Celebrations Creative Cuts! 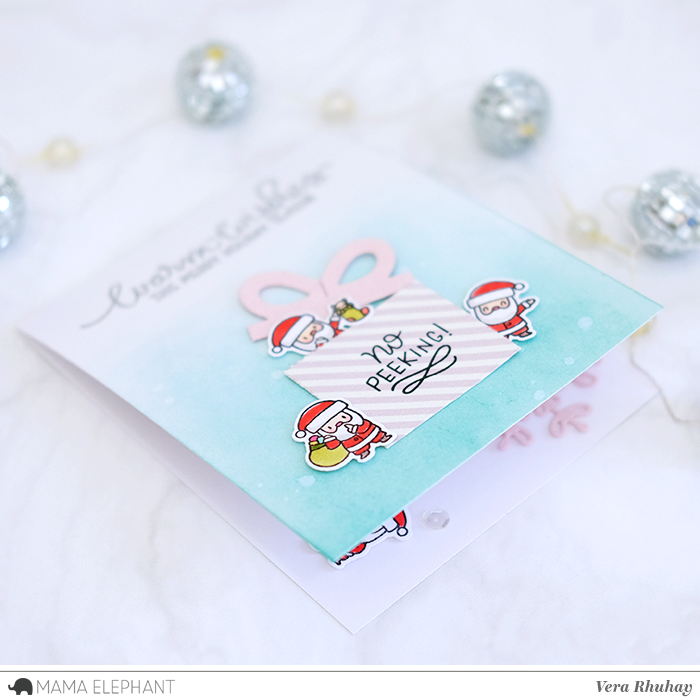 Here, I created a Christmas card with Little Santa Agenda for the images. 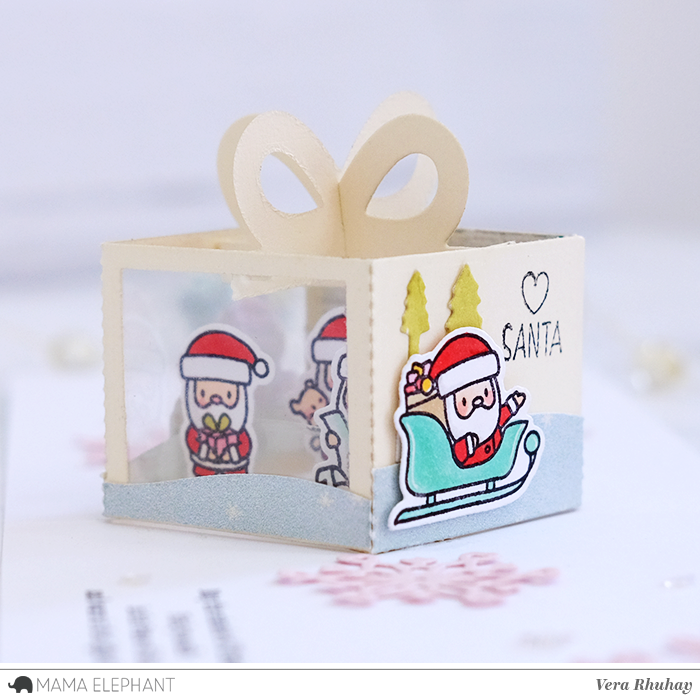 I stamped on Bristol paper, colored with Copic markers and die cut with the coordinating Little Santa Agenda creative cuts. 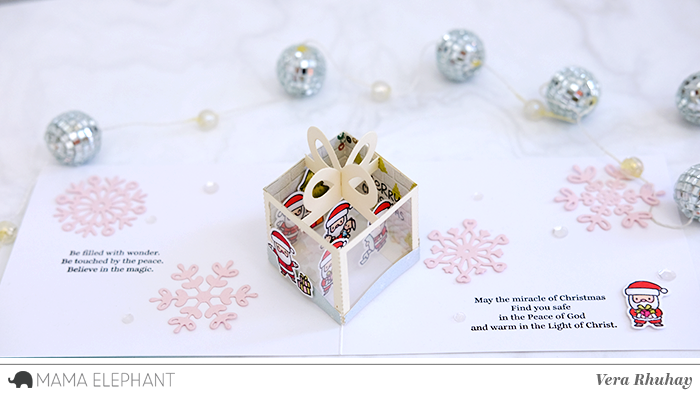 I decorated the inside card with die cut from Snow Flurries Creative Cuts and stamped the words from Peaceful Wishes. 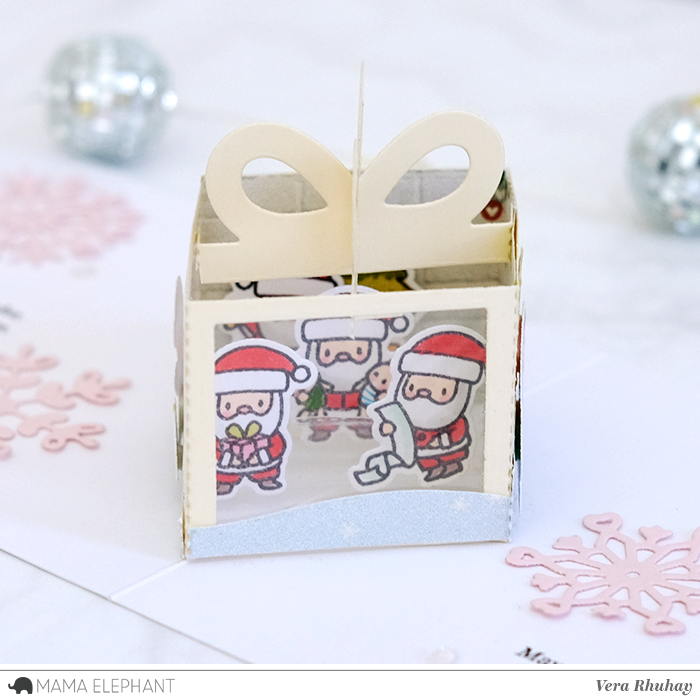 Thank you so much for joining with me today! 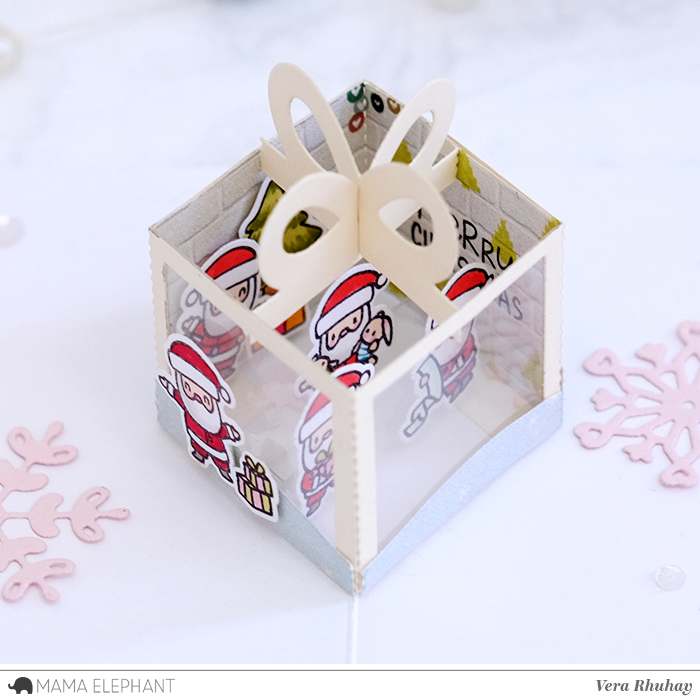 So cute, love this little box, awesome project! That's just toooo adorable ! !